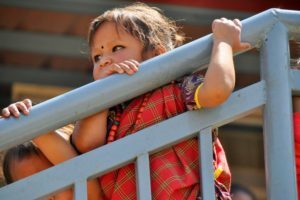 Bruce Keenan, founder of the Himalayan Children’s Charities (HCC) in Nepal, recently visited Food for People in the village of Tasarpu, Dhading District, located about 25 miles from Kathmandu. He shares his impressions of the visit in this concise blog. Bruce acts as Chief Financial Advisor for TPRF. 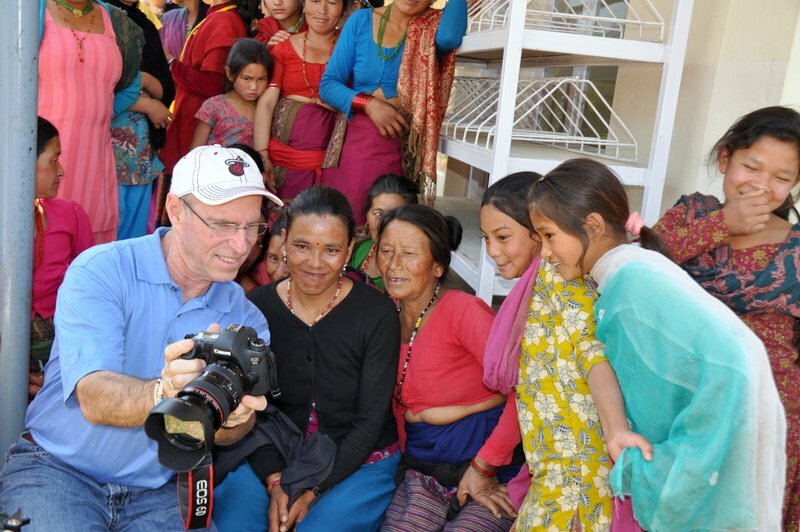 This is Bruce’s second trip to FFP Nepal. See “Grateful Letters from Tasarpu” for more. 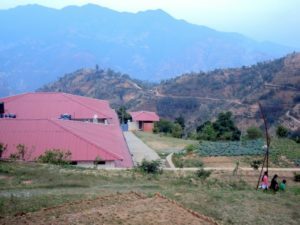 I had the opportunity to visit the FFP facility in Dhading, Nepal in April 2013 for the fourth anniversary of the opening of the facility. I would like to take a moment to paint a picture of this area of Nepal to give you a better idea of the conditions there. 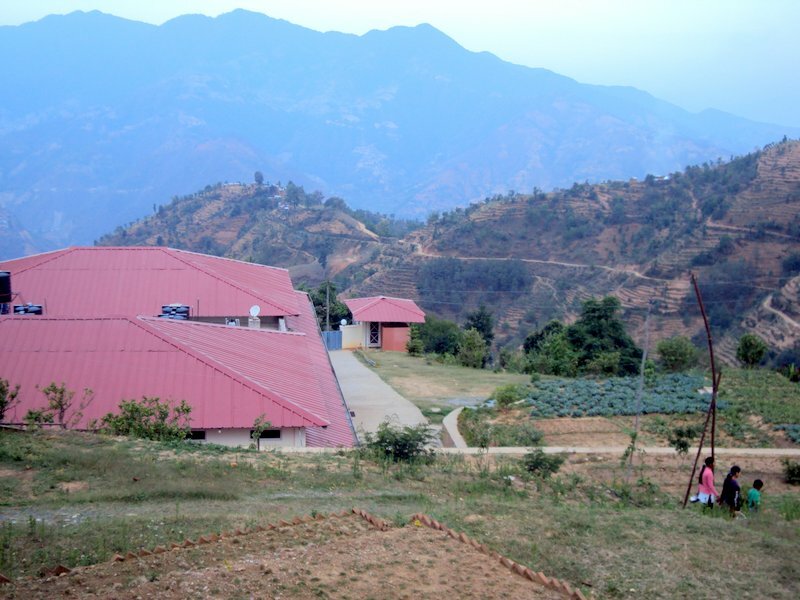 The FFP facility is located about one and three quarters of an hour outside of Kathmandu, the capital. 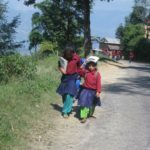 The terrain in Nepal is very rugged and the jeep trip was a lot of up and down with the final climb to the facility about 2,500 feet upward from the main road to India, and this one lane road contained at least seven switchbacks. Because the terrain is so steep, farming is very difficult. The farmers accomplish it by plowing with oxen in terraces of about five-to-ten feet wide. When it is time to harvest the crops, the farmers do it by hand. The people are poor, with Nepal being one of the poorest countries in the world, but they have a warm spirit and enjoy life. 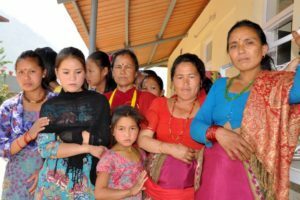 At the FFP facility, we spoke with some of the mothers of the students who attend the nearby school. Their children now have the good fortune of eating a nutritious meal every morning. 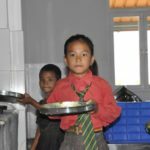 The mothers told us that before the facility opened, their children might only get one meal a day, and often times it was only bulgur (dried cracked wheat) with no rice or vegetables. 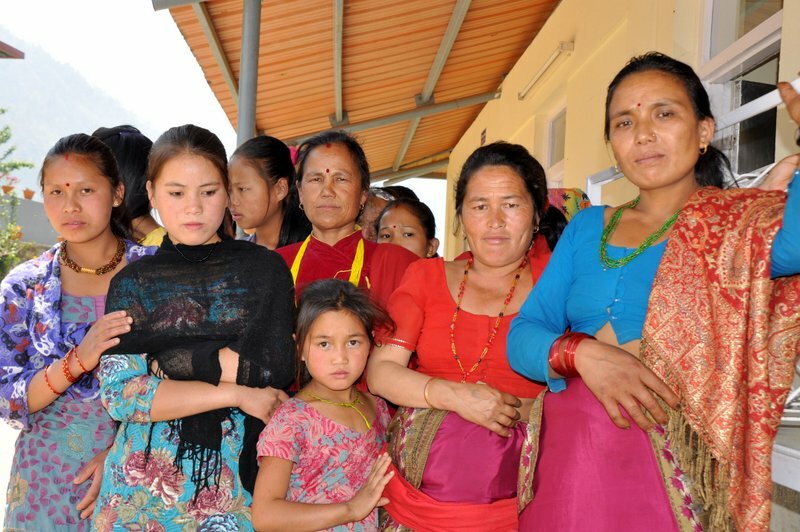 These mothers are so appreciative of what the FFP facility has brought to their community and their families. Prior to the opening of the facility, none of the students from the local school had gone beyond tenth grade. 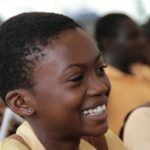 Now with their meals provided on a daily basis, four students were able to pass the tests required of them to proceed to eleventh grade. 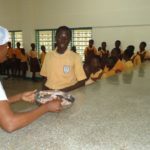 The mothers also said that they could now afford books and writing supplies for their children because they were able to take some of the money previously allocated for food and use it to buy these supplies. The fourth year anniversary celebration was an outpouring of gratitude for TPRF and the huge impact that the FFP facility has had on the community. 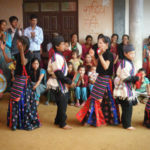 The students put on dances for us and the local village leaders spoke about the changes they have seen over the last four years. 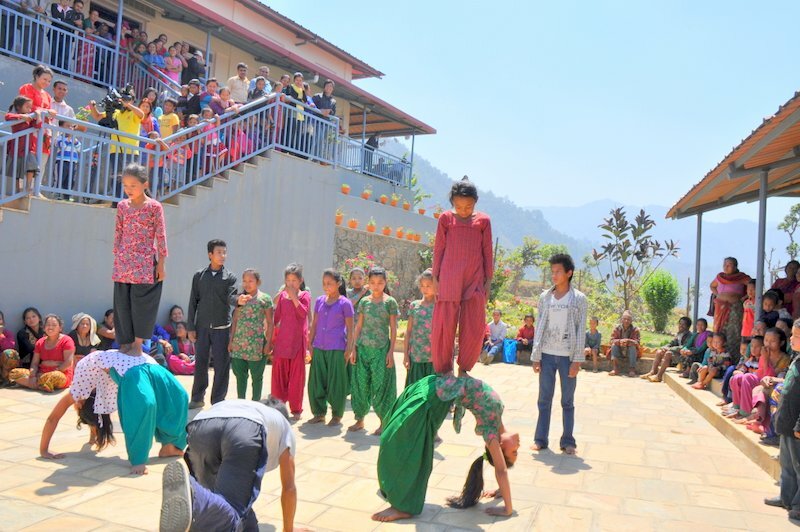 I wish every TPRF sponsor could have been there to receive the thanks of these wonderful people in Dhading, Nepal. It’s nice to have some feedback of the developments in this community. Thanks to Food for People volunteers and sponsors. I got involved financially in this project right from the start and even if I can’t do much, it makes me feel very happy to be part of it. Thank you to you at TPRF and to Prem Rawat to offer us these great opportunities. What an inspiring story. I look forward to supporting this worthy project. Thanks for the informative blog!